Delivering customized logistics solutions built on an unwavering commitment to providing outstanding service for our customers. As a family-owned company with integrity, we understand the importance of long-term relationships. Keeping our associates safe and injury-free is one of our most important values. Founded in 1954, Romark Logistics has been a pioneer in the supply chain and logistics sectors. 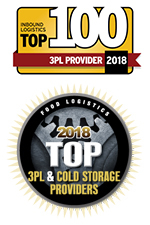 As a top third-party logistics and cold-chain provider in North America, we service some of the leading food, beverage, pharmaceutical, and retail customers in the world. 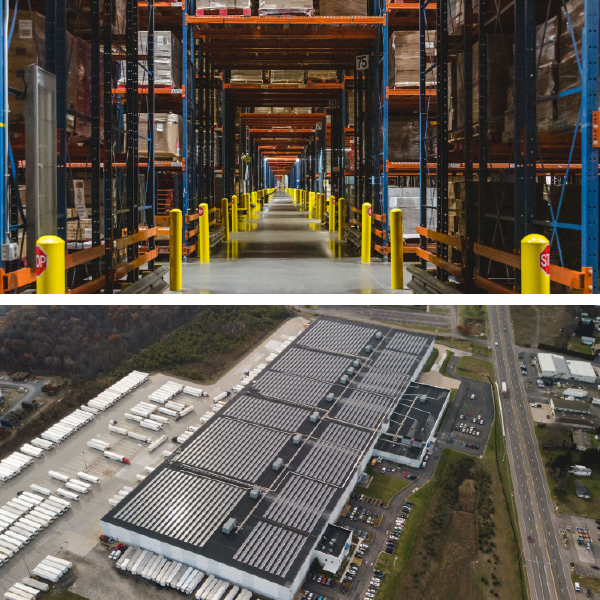 With millions of square feet of industrial space throughout the U.S., Romark has established itself as a premier third-party logistics company that is people-driven and results-focused. The company’s tagline, “Personalized Service…Always” drives our team to create more tangible results for customers, with solutions that are flexible and results that are proven. Many of our customers have been with the company since our inception, which is indicative of our ability to grow and meet changing needs. Romark offers contract and public food-grade warehousing solutions and specializes in temperature-controlled requirements. Our extensive history and knowledge allow us to offer a full suite of services including short and long-term storage, cross-dock operations, e-commerce fulfillment, packaging, assembly and JIT delivery, plant support, reverse logistics, and supply chain consulting. Whether you need dry or temperature-controlled applications, we can provide customized transportation solutions, including dedicated fleet management, freight management, transportation brokerage, over the road transportation, pool distribution, white glove service, and shuttle service. Our offerings include both asset and non-asset-based solutions. Our company has a proven record of excellence in custom packaging services to receive, package, store, and distribute products and displays to retail stores across the nation. Whether you require customized kit assemblies or primary and secondary packaging, Romark provides solutions that deliver efficient and superior results. With more than 65 years’ experience as an owner and developer of industrial real estate, we understand what it takes to run a modern distribution facility. Applying this operational expertise, we specialize in providing state-of-the-art facilities that maximize flexibility and future expansion opportunities. Let Romark Logistics become your partner in helping you secure the most efficient distribution operations to accommodate your supply chain needs.